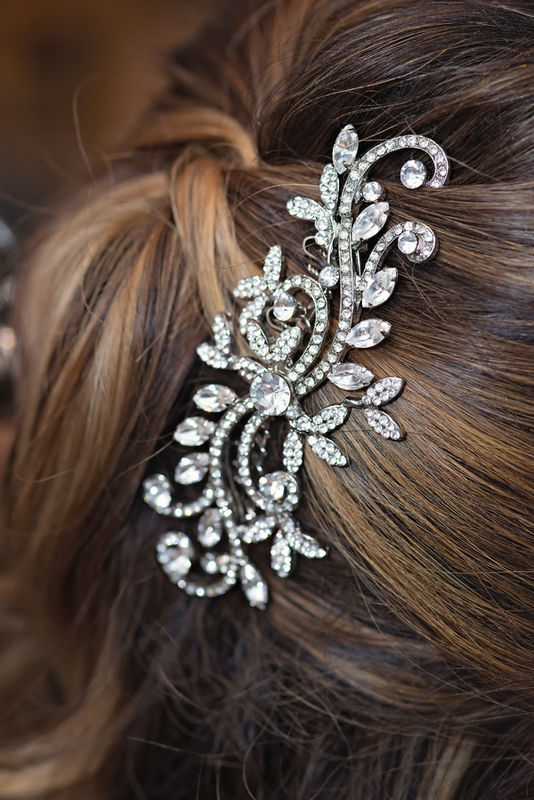 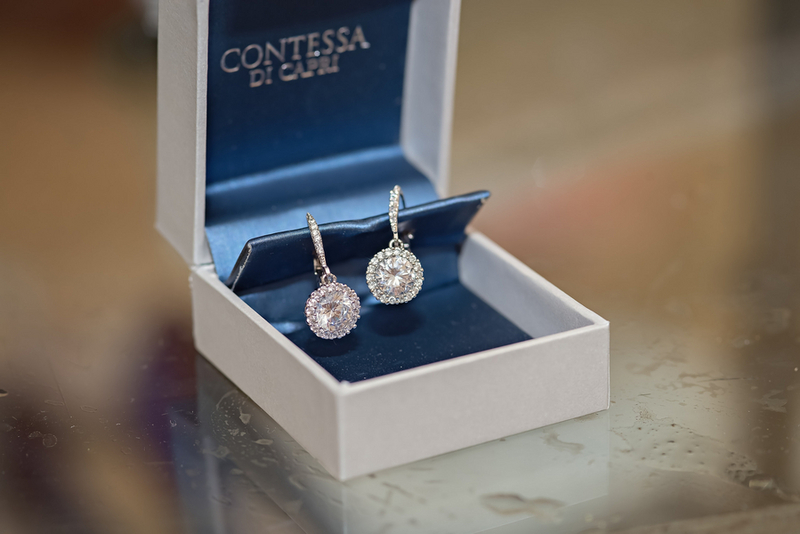 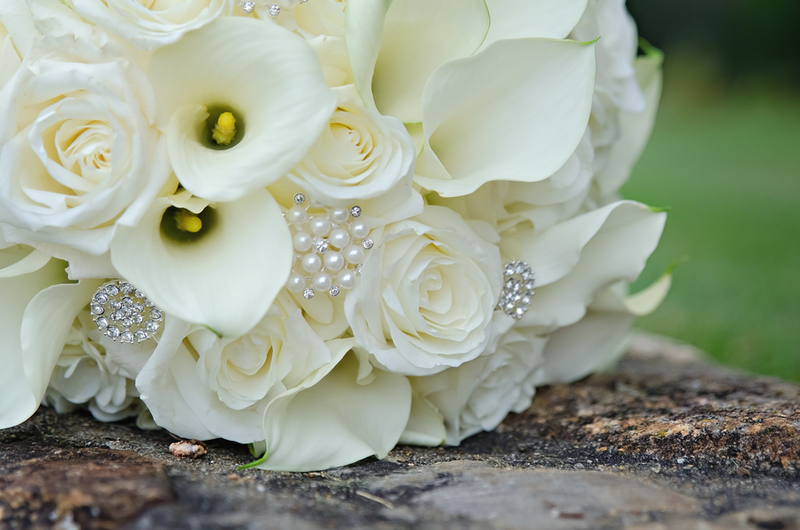 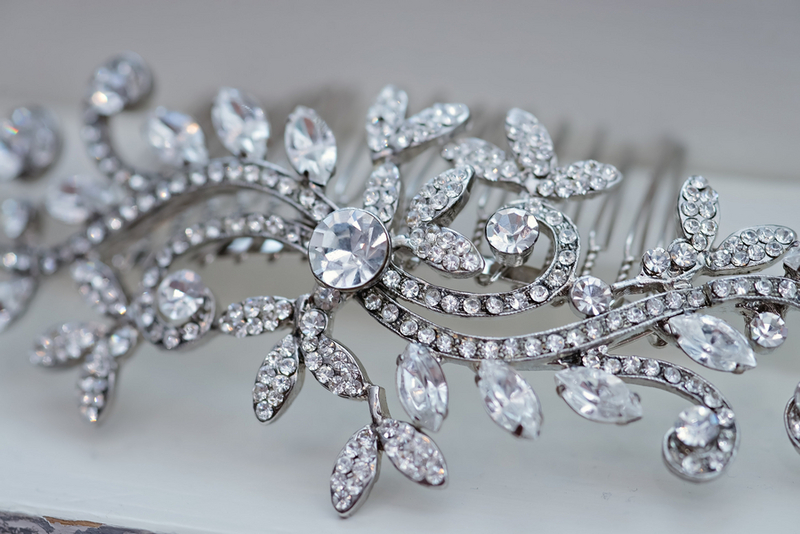 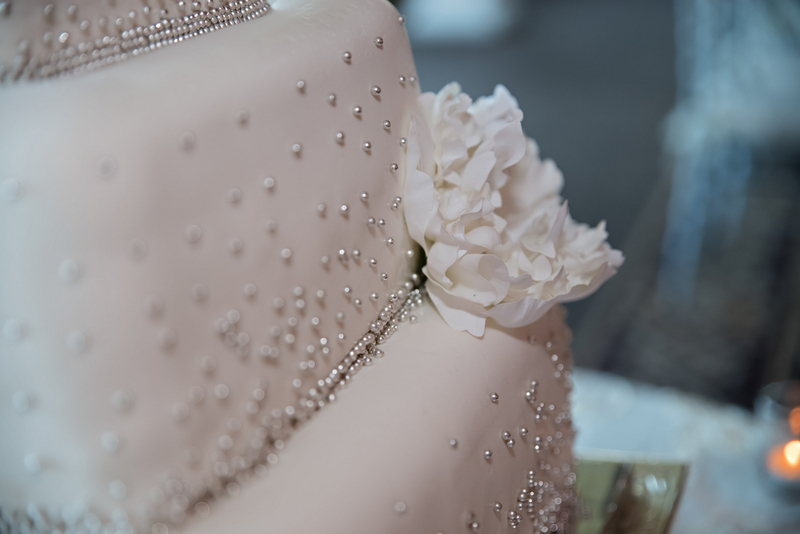 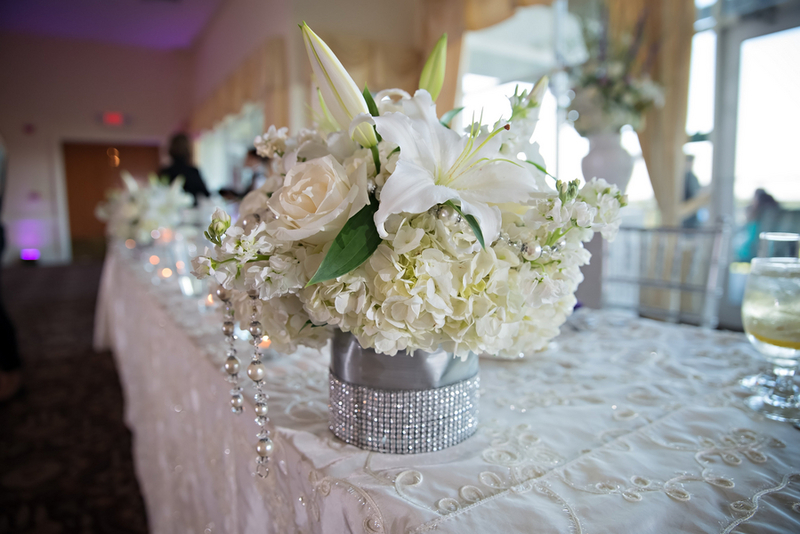 We’ve got one glamorous wedding for you today! 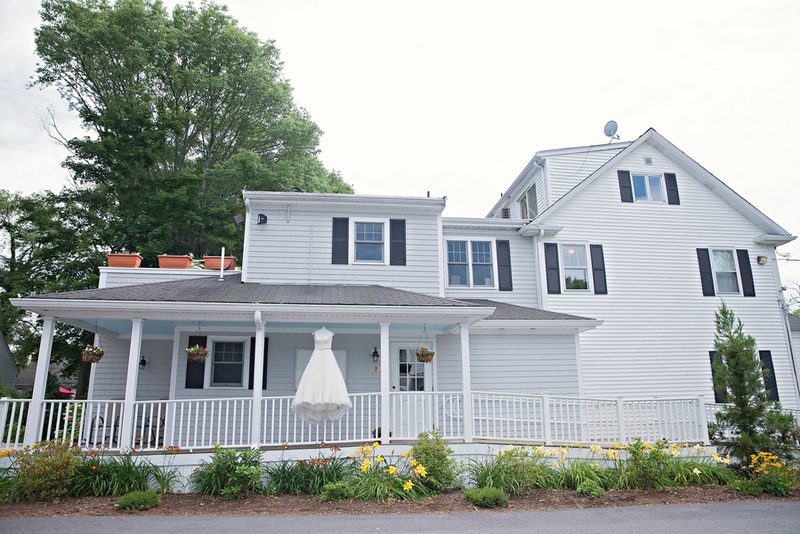 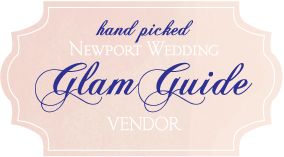 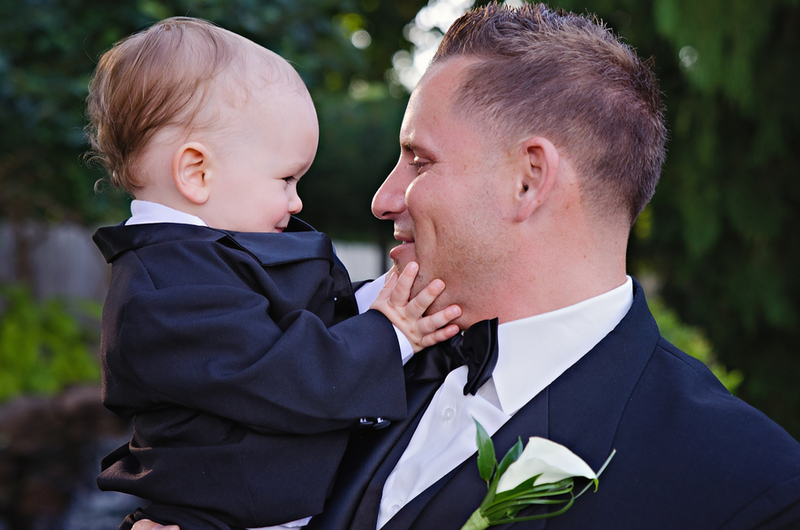 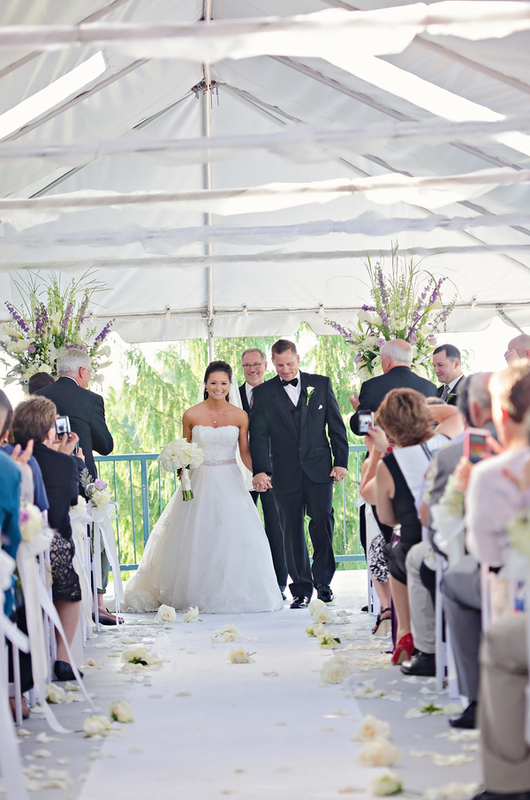 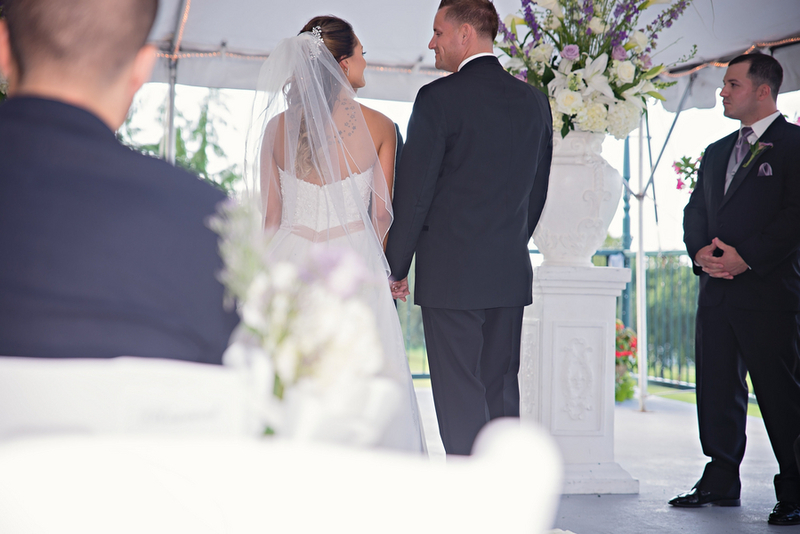 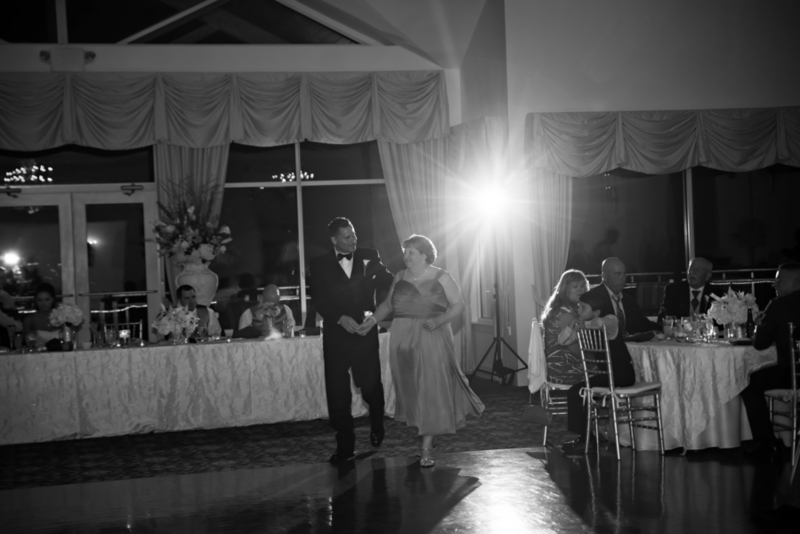 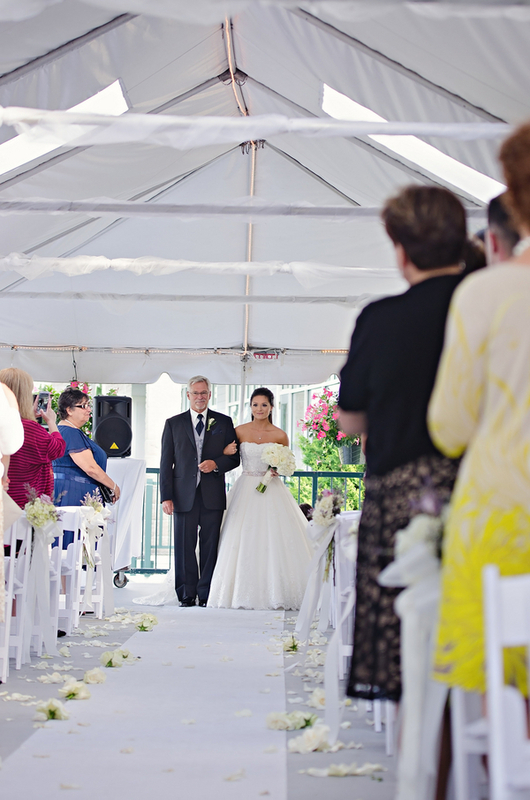 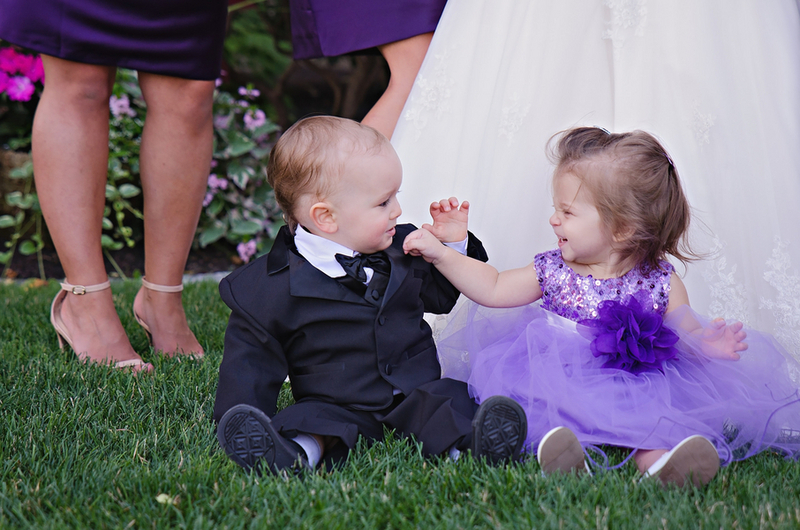 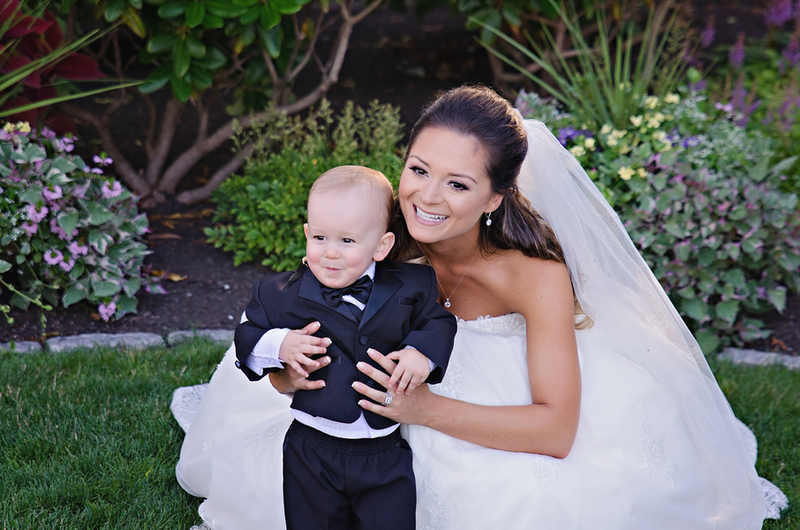 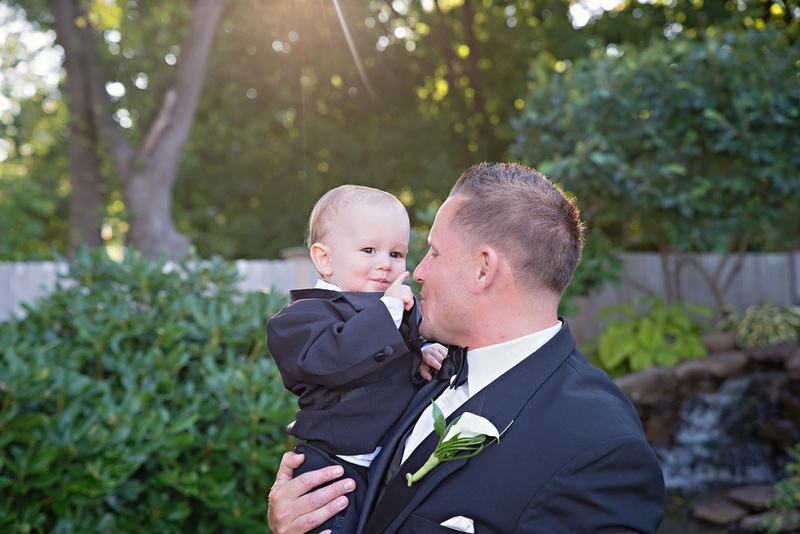 In fact, you’ve seen this gorgeous couple once before here at Newport Wedding Glam. 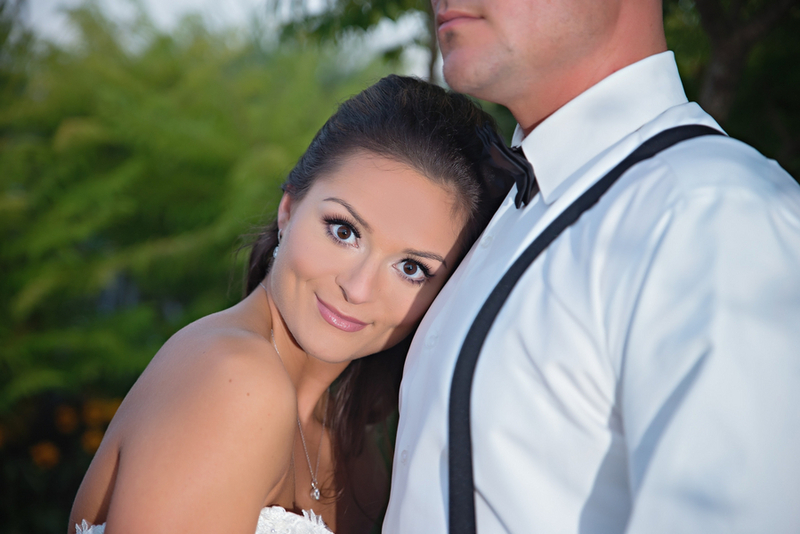 Back in February, we introduced you to Mariel and Jeff through their beautiful seaside engagement shoot. 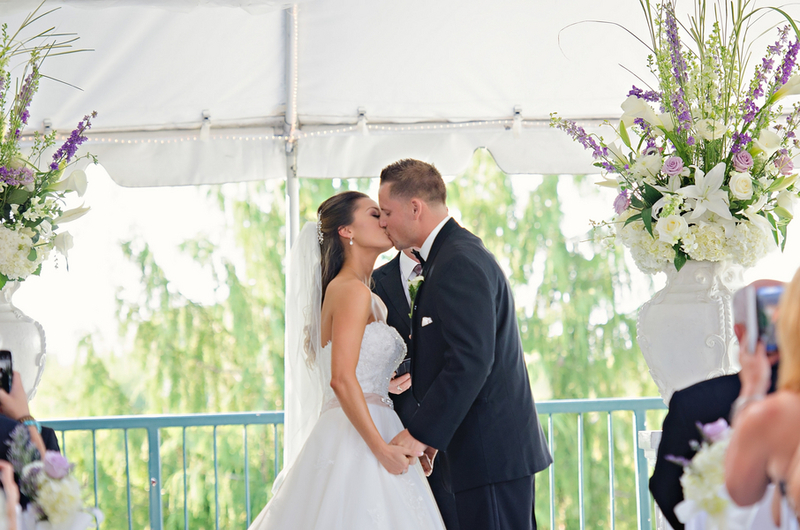 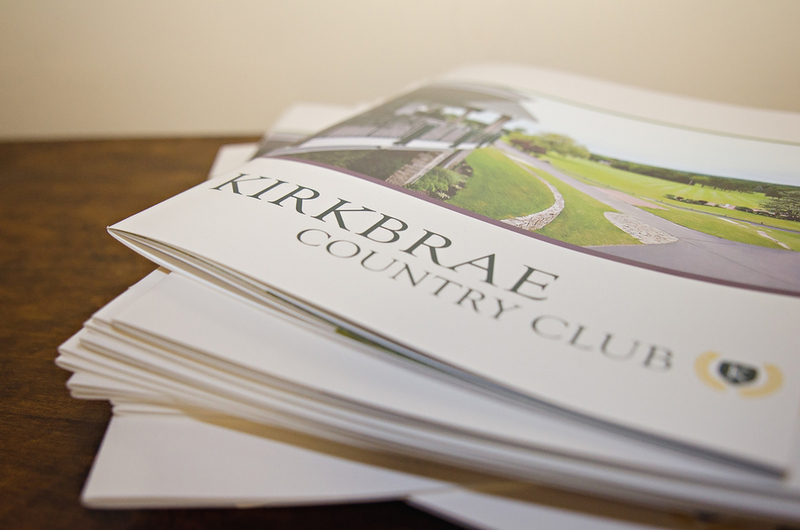 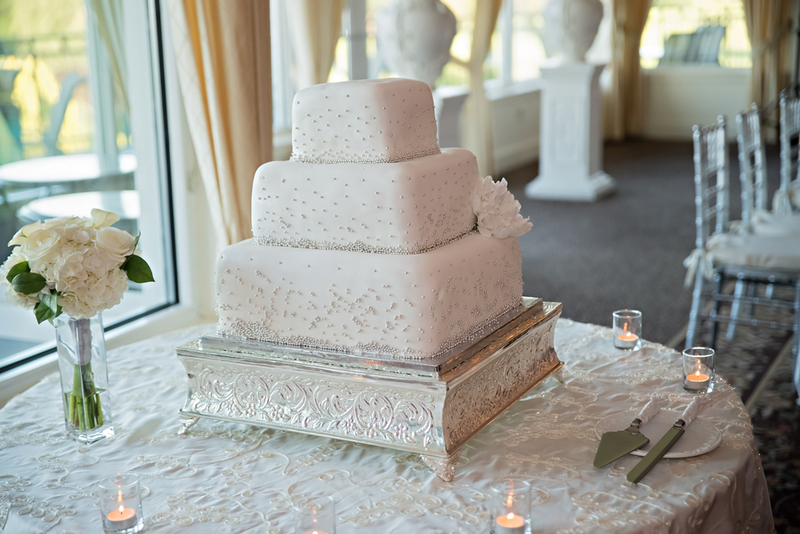 Now, because we just couldn’t get enough of the gorgeous couple, we’re going to give you a peek into their stunning country club wedding at Kirkbrae Country Club! 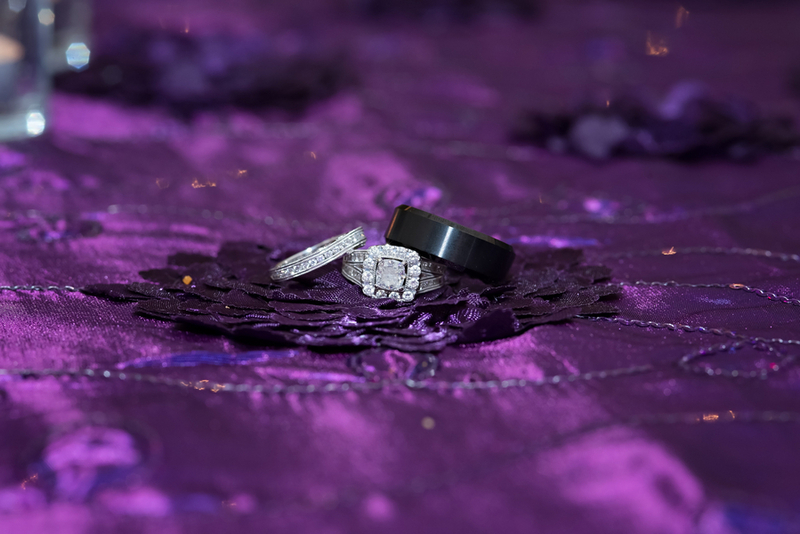 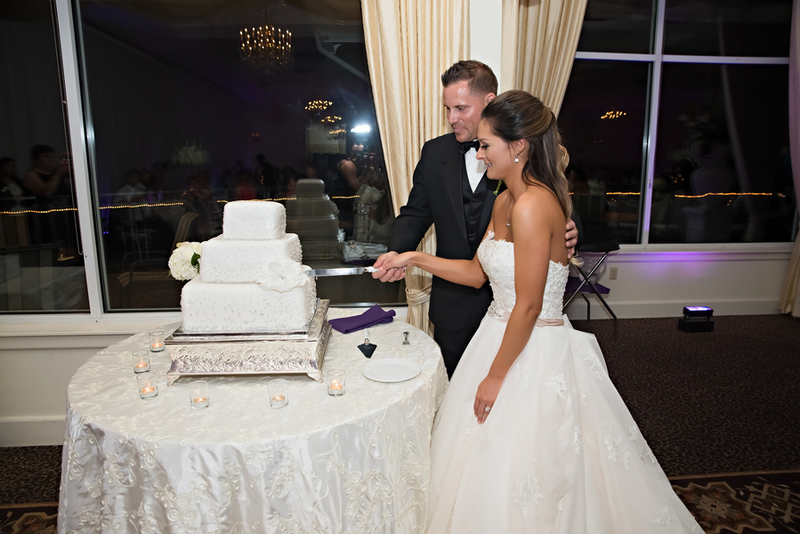 Prepare to be in awe of the lovely purple and ivory decor as well as the love evident between the sweet couple, and thank you to Brittany Adams Photography for so perfectly capturing the day! 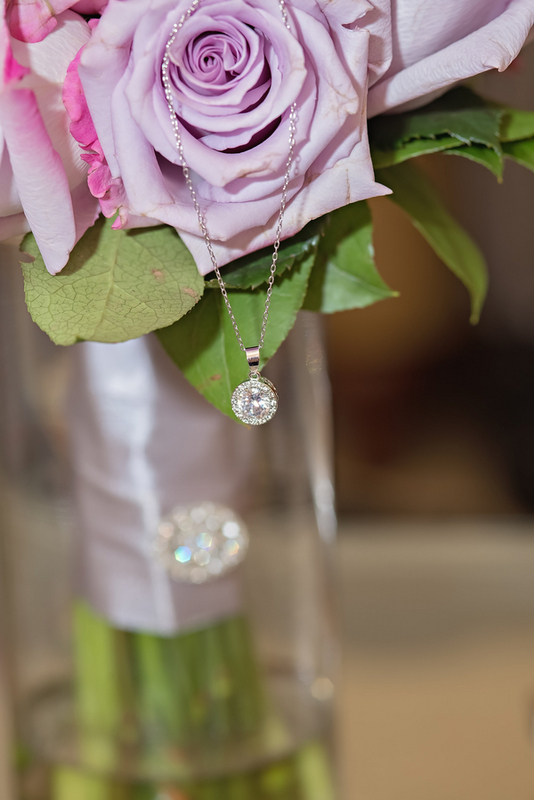 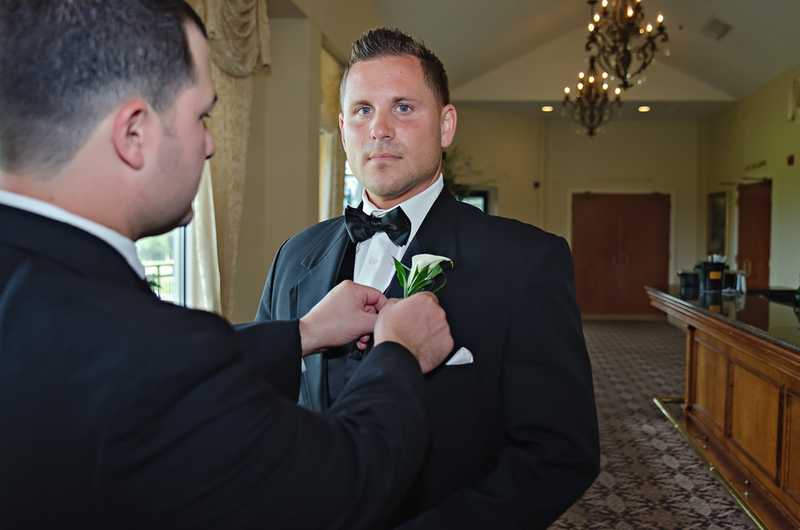 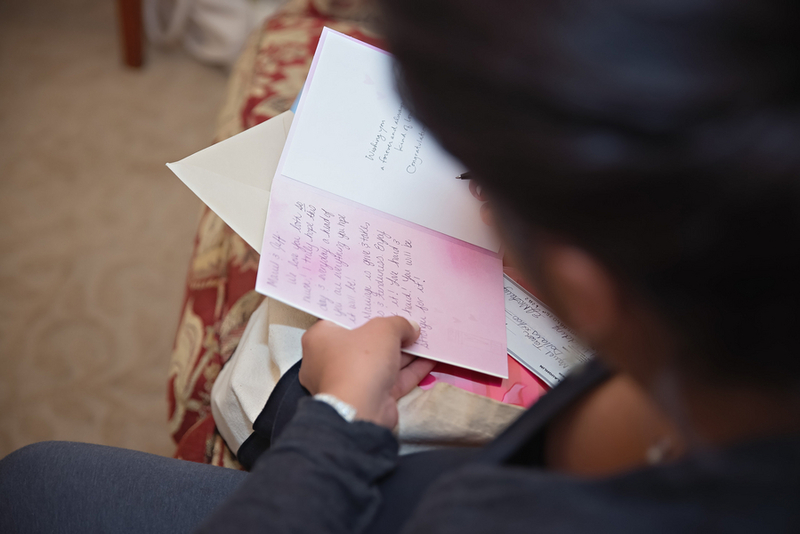 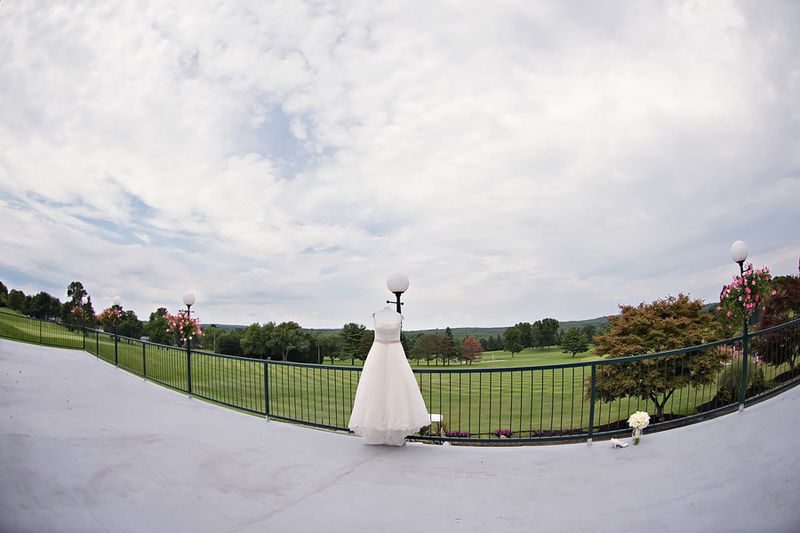 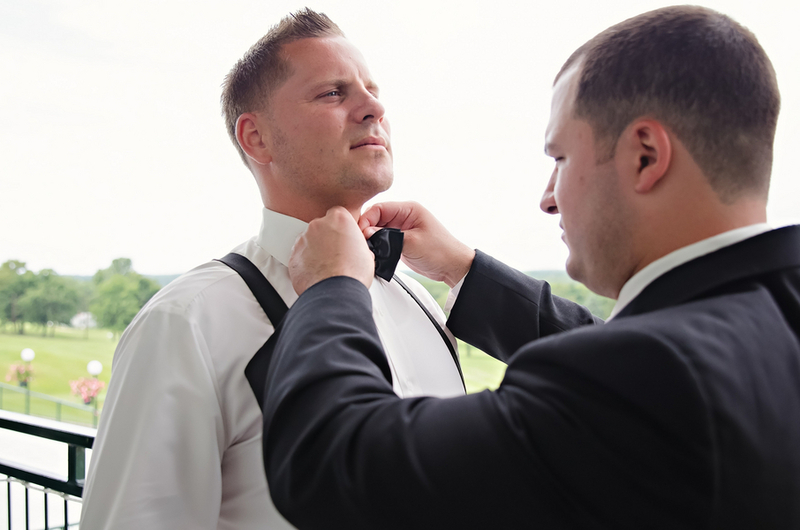 Mariel and Jeff’s wedding day began with the pair getting ready for the ceremony at the Kirkbrae Country Club. 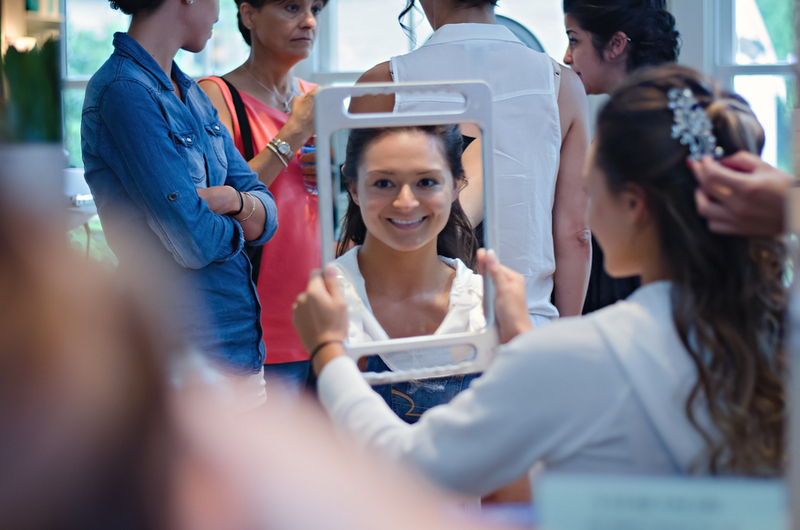 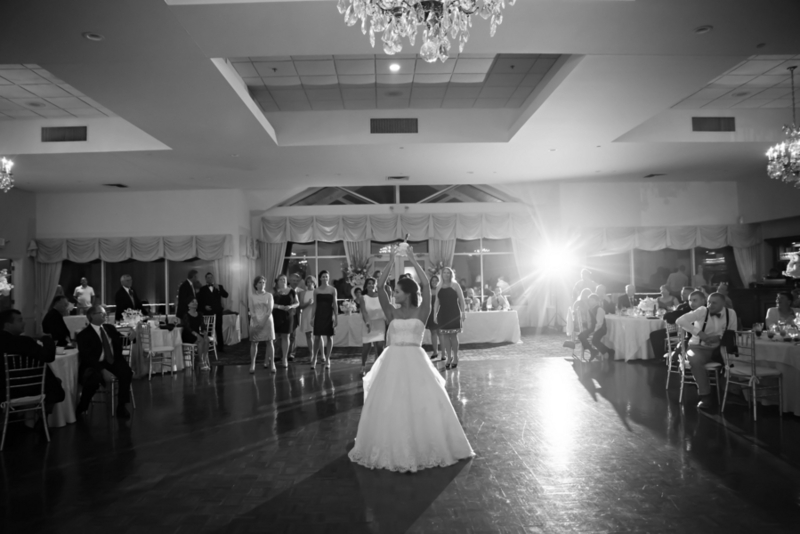 From the moment Mariel steeped out of the limo and onto the groups, it was clear that she would be glowing for the entire event. 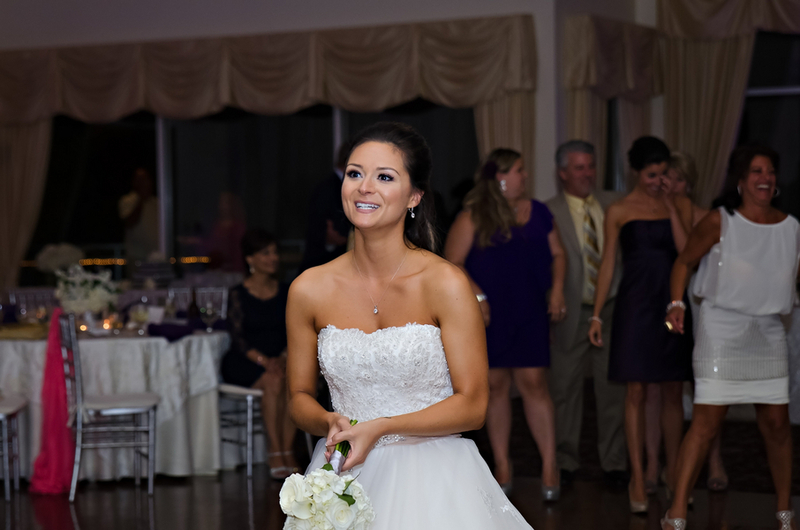 The beautiful bride made her way into her suite where she was pampered to perfect by Stephen & Co and diligently cared for by her bridal party. 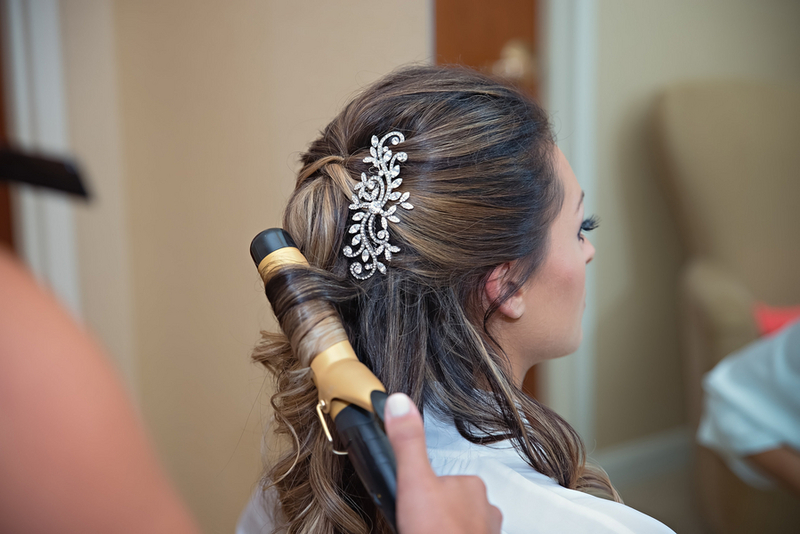 Mariel’s hair was elegantly swept back into a lovely half up and half down style, and her beautiful features were accentuated with a stunning neutral eye and and lip. 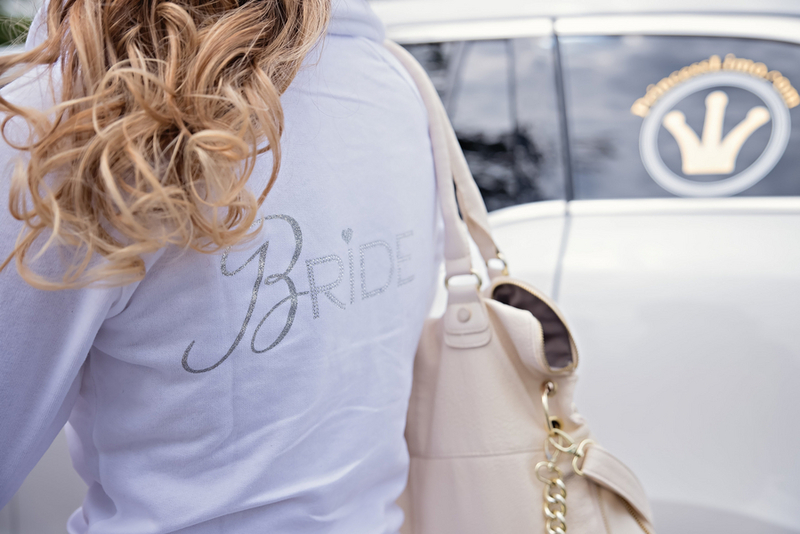 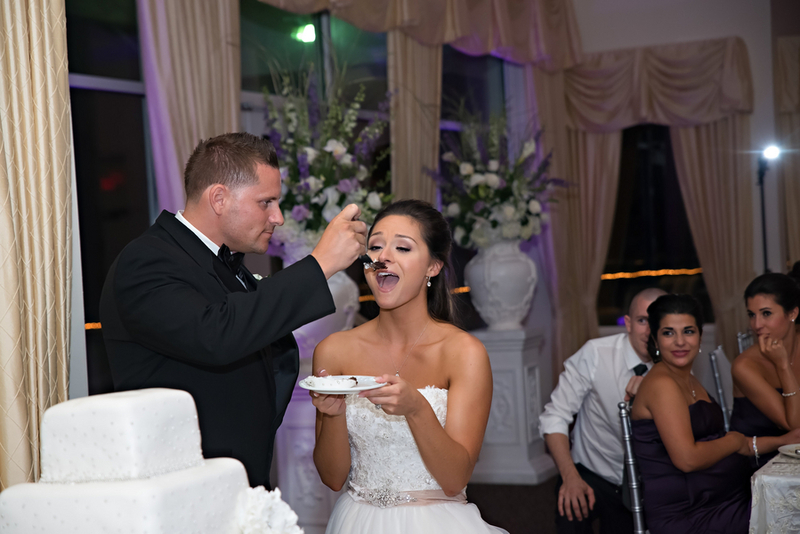 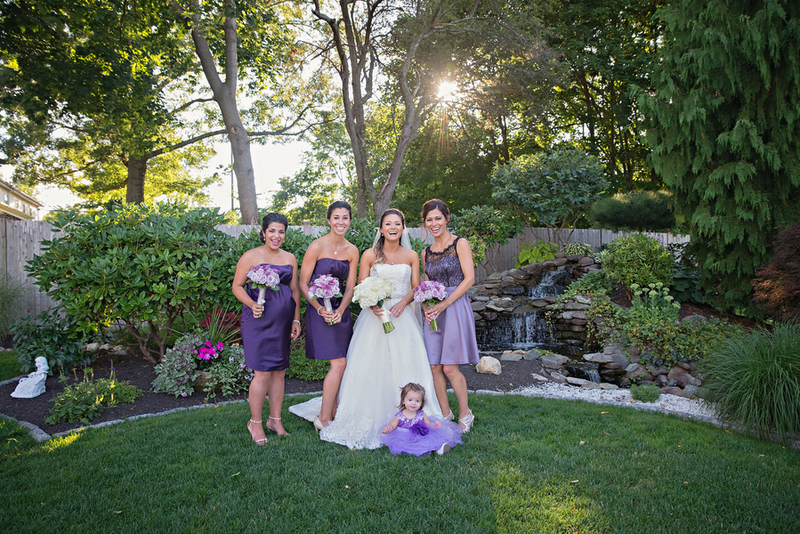 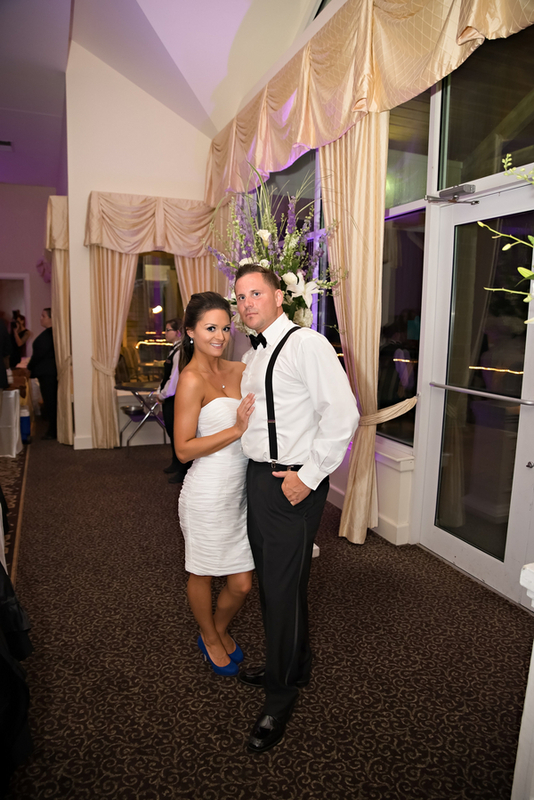 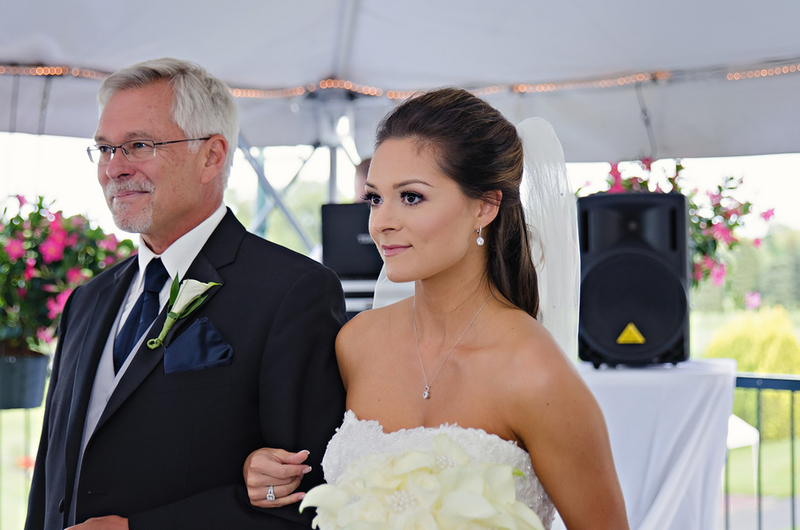 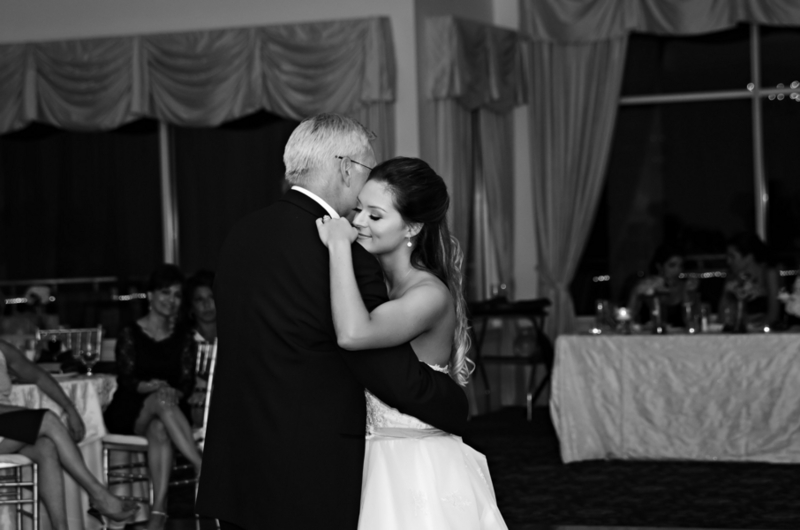 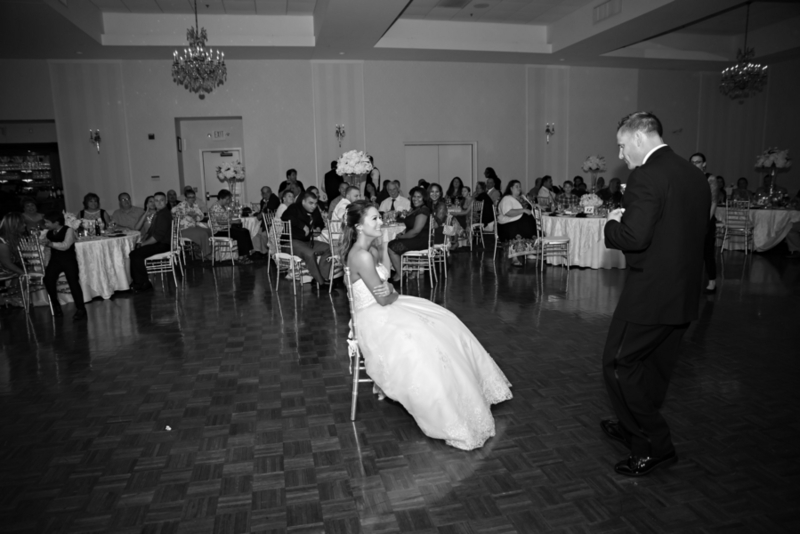 Soon, it was time for our bride to don her beautiful David Tutera designed a-line gown from Alexandra’s Boutique. 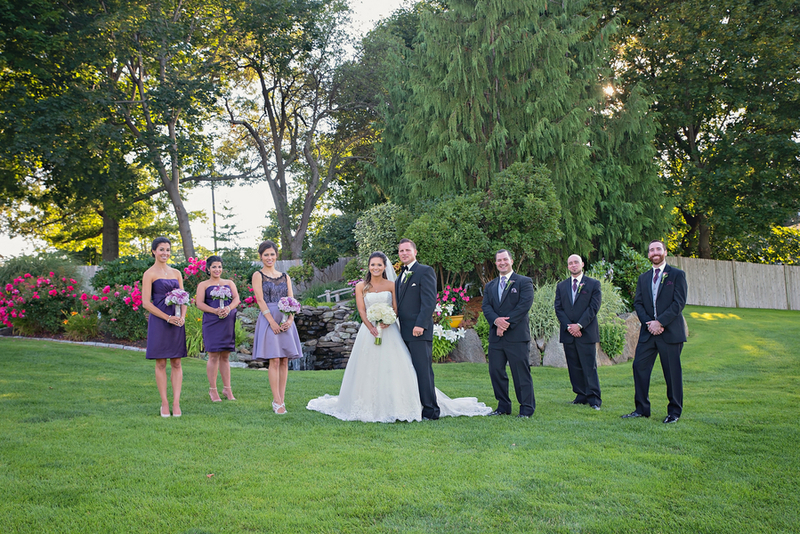 The gown featured gorgeous beading along the bodice and a sweet light blush sash with crystal detailing. 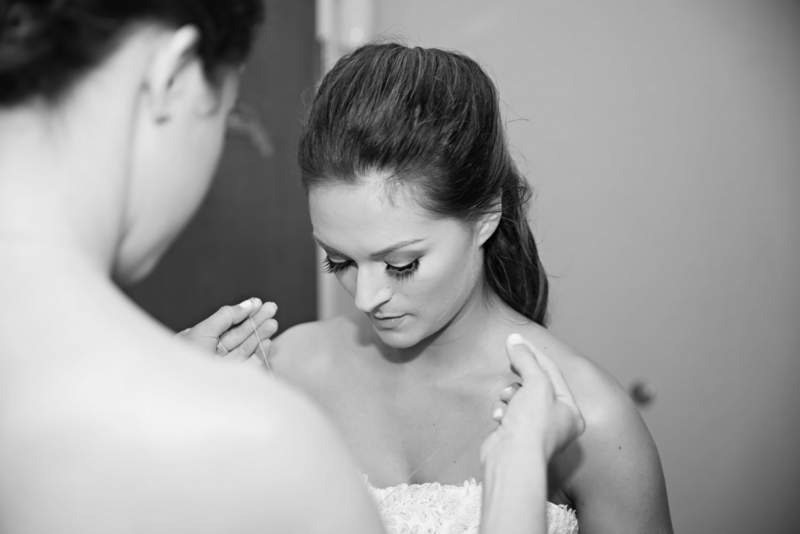 The bride looked totally relaxed while getting ready, and her groom was no different. 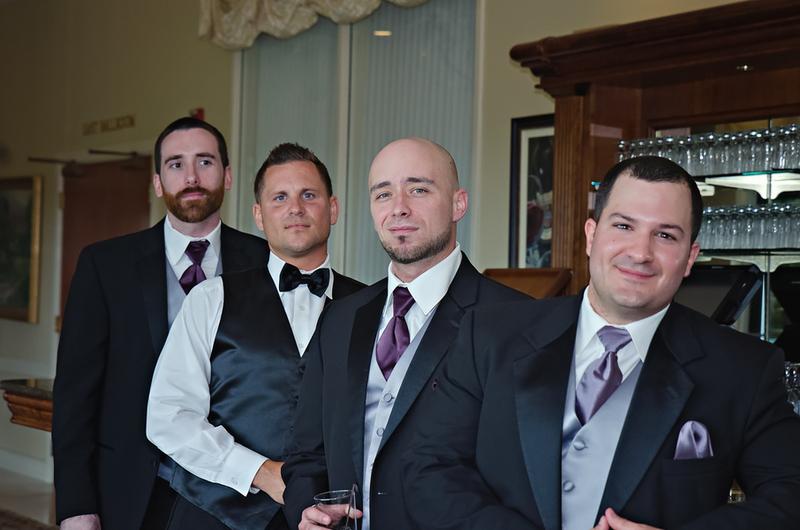 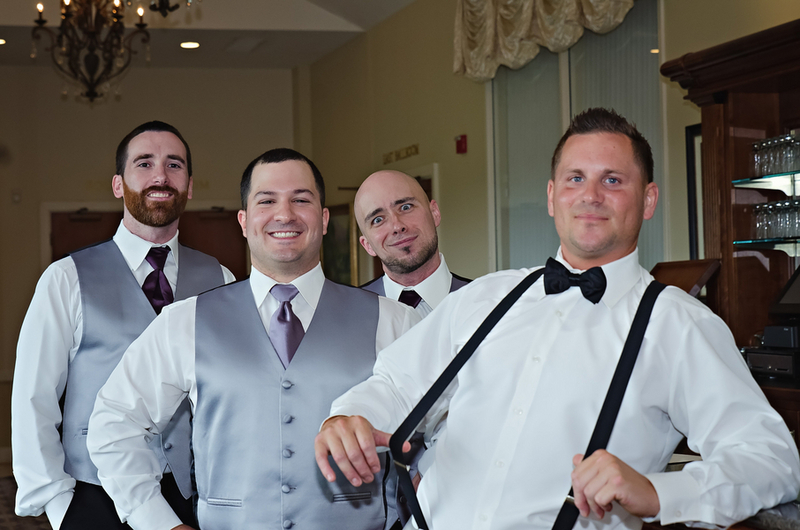 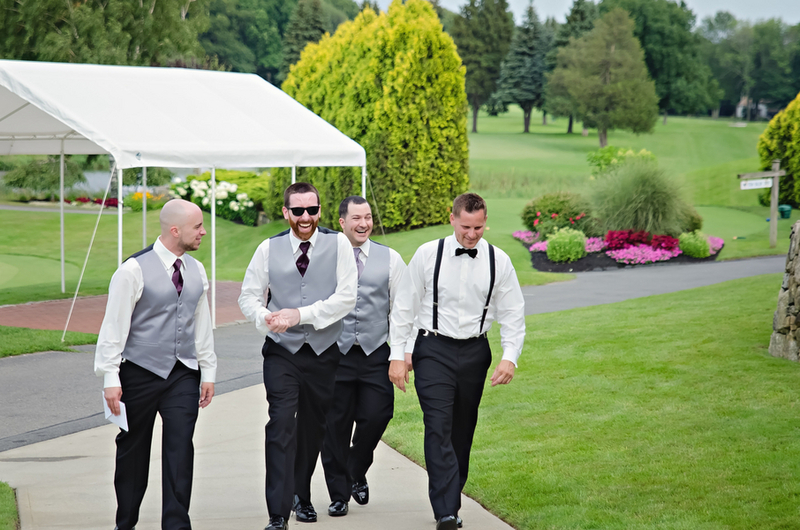 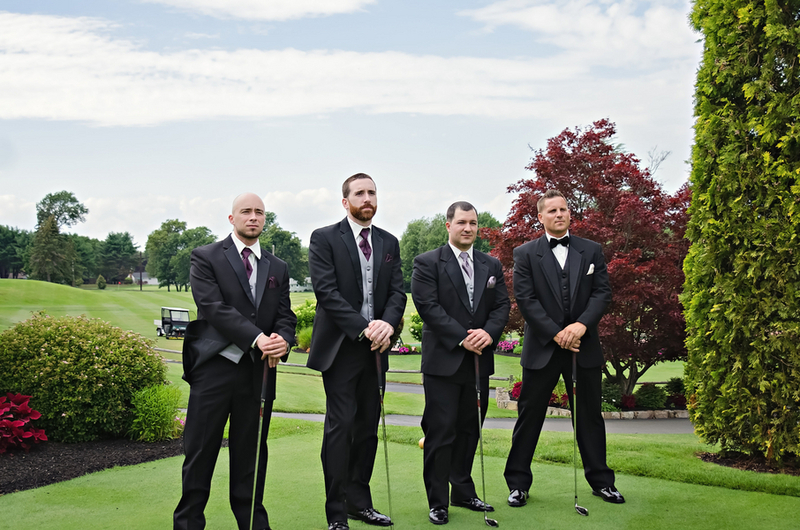 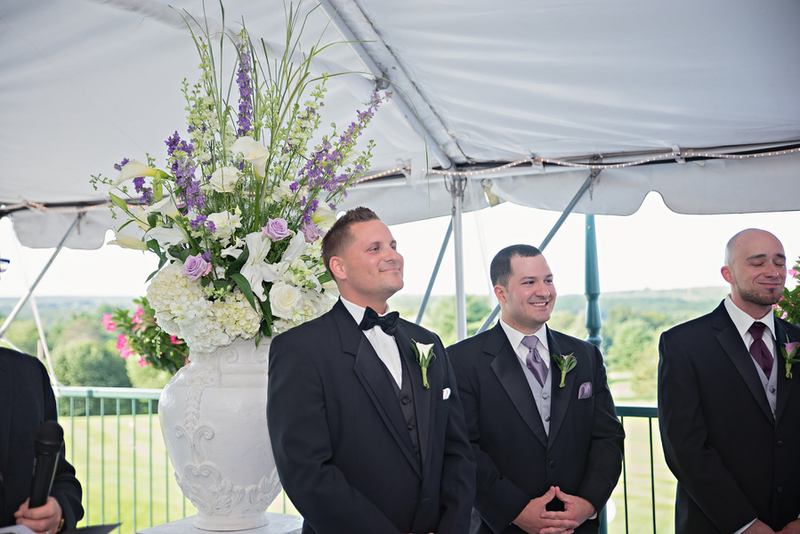 In fact, Jeff took in a game of golf with his groomsmen after they’d already gotten ready. 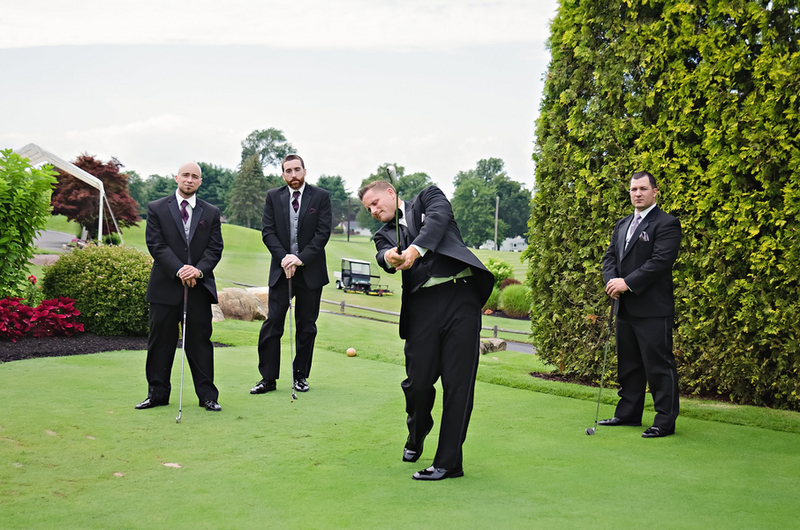 Because after all, what goes better with a tux than a game of golf? 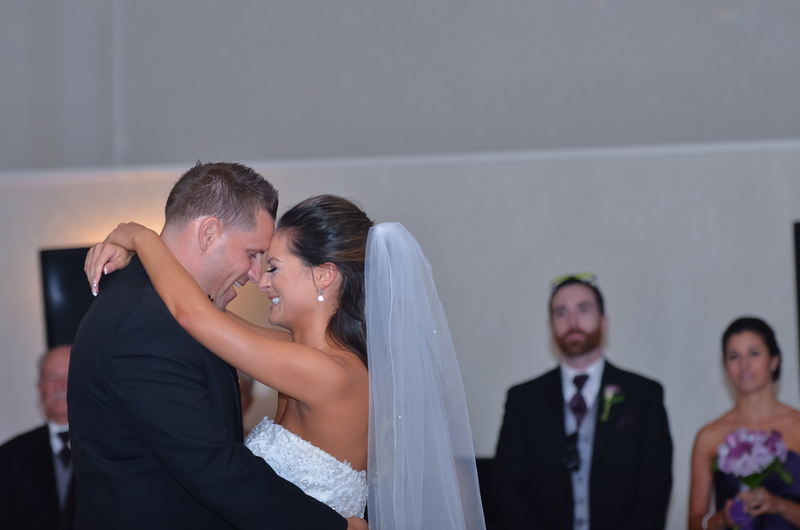 The relaxing process of getting ready must have paid off because both our bride and groom were absolutely glowing when the time for their ceremony arrived. 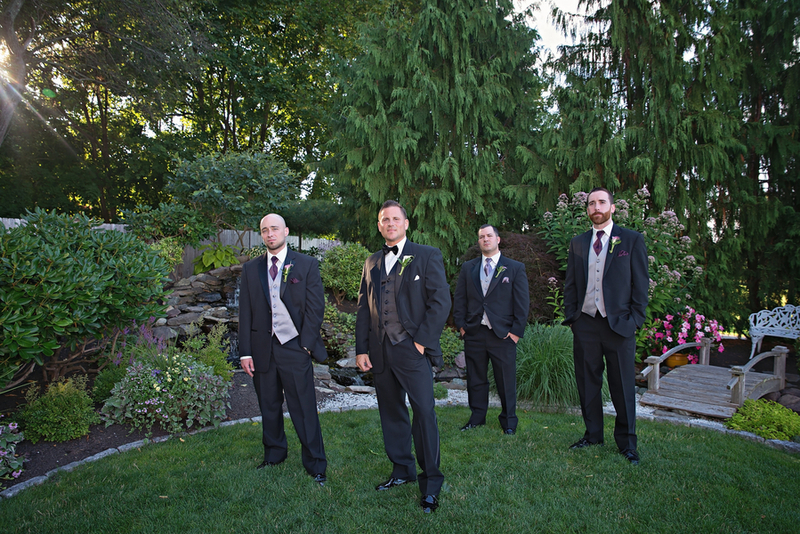 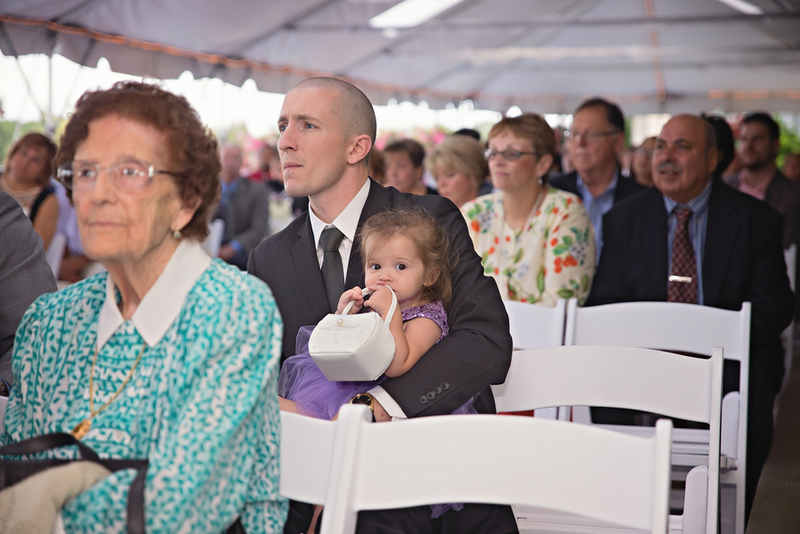 The groom handsomely stood at the head of the altar with friends and family patiently waiting for Mariel’s arrival. 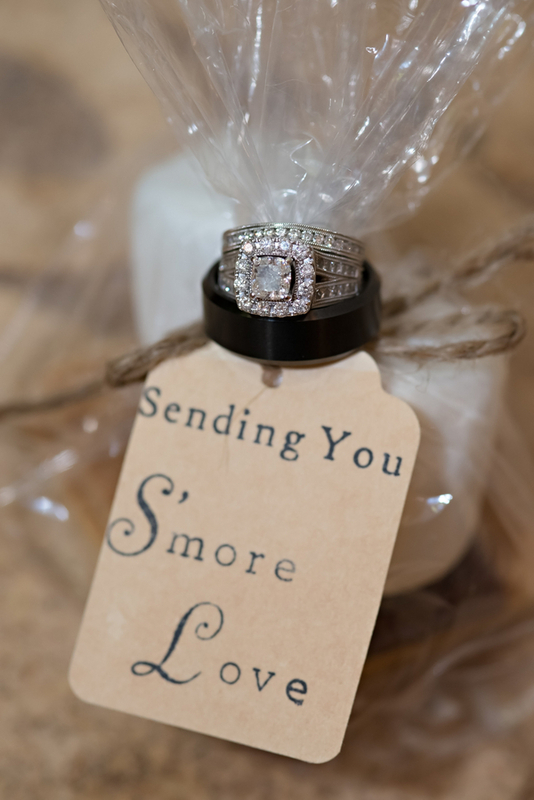 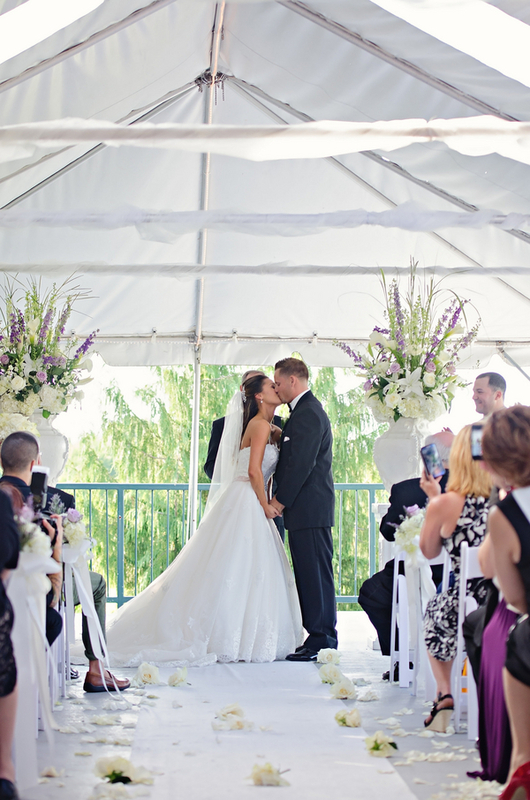 Soon enough, the bride arrived at the romantic tent under which the gorgeous vows were said. 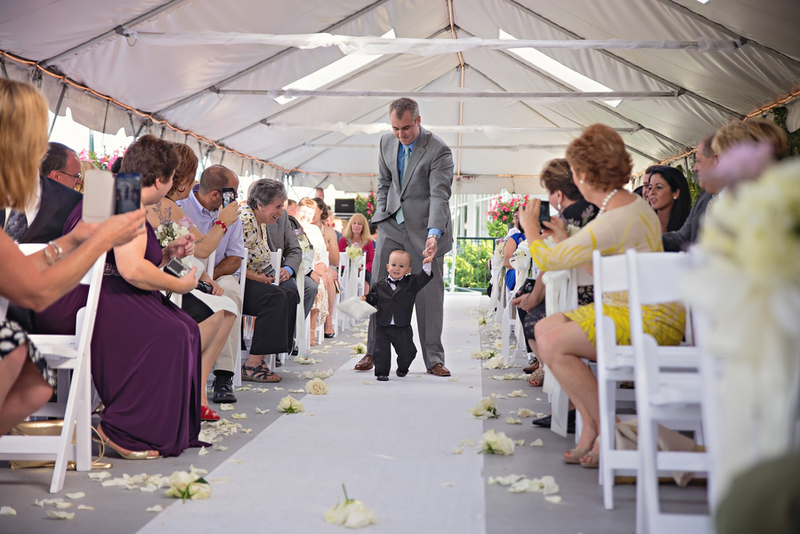 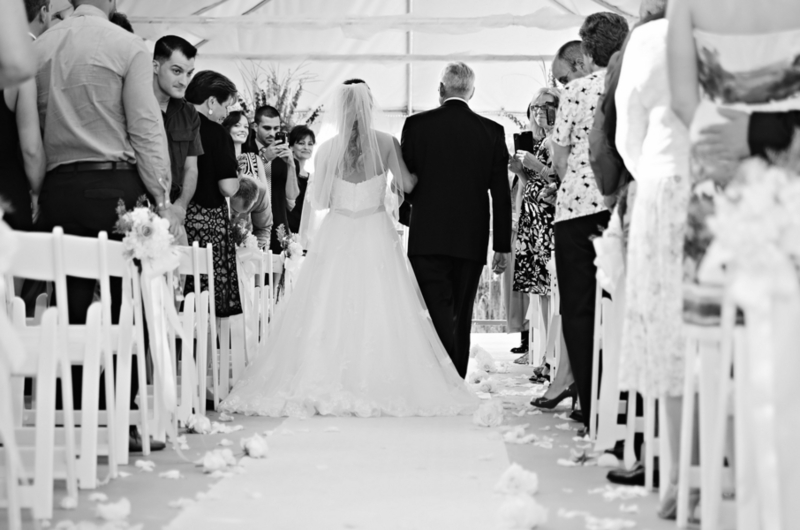 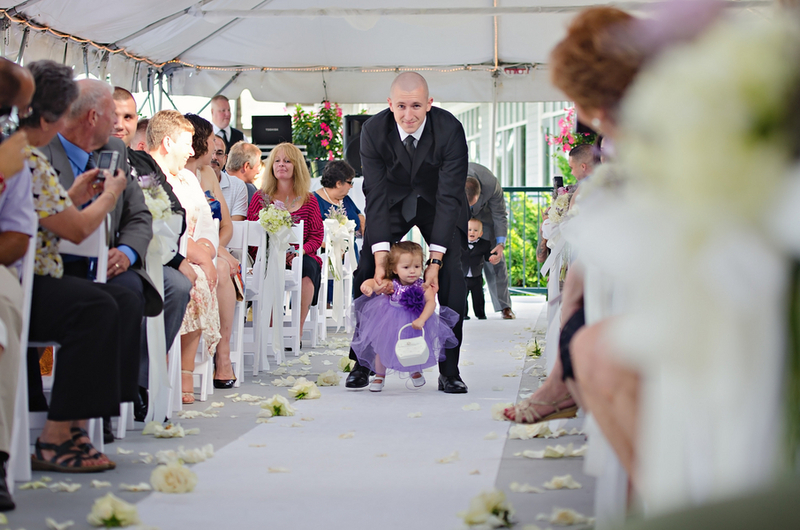 Mariel radiated as she made her way down the white rose petal strewn aisle with her stunning train trailing behind her. 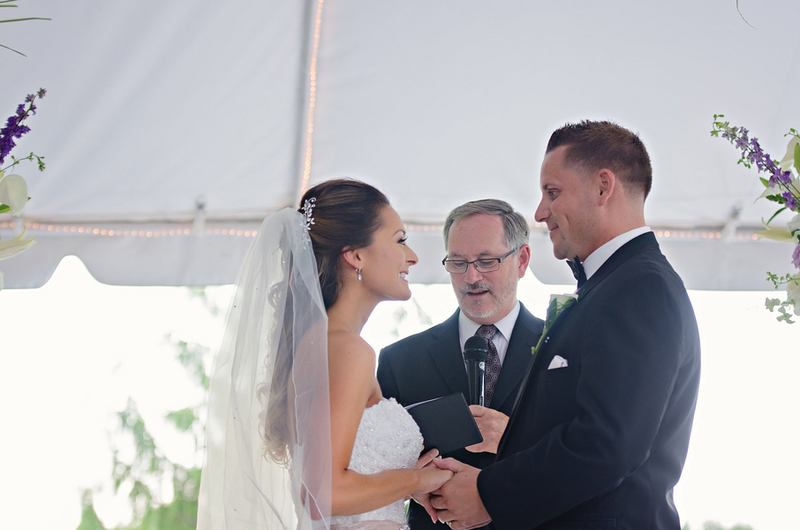 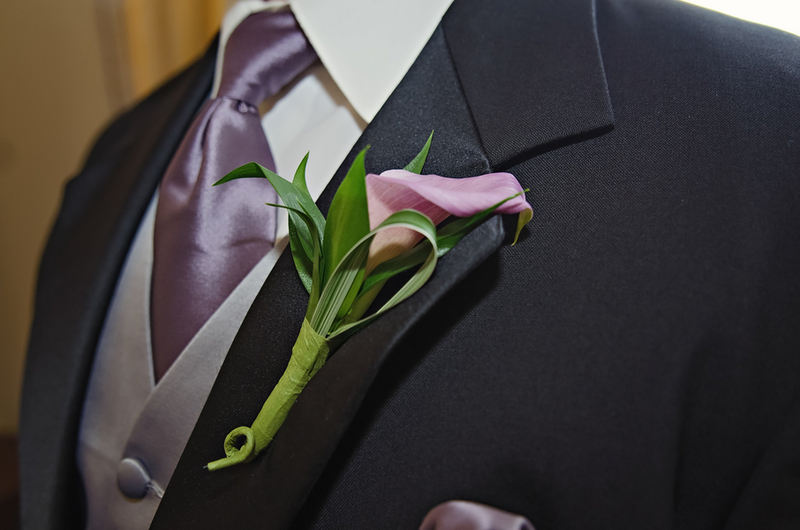 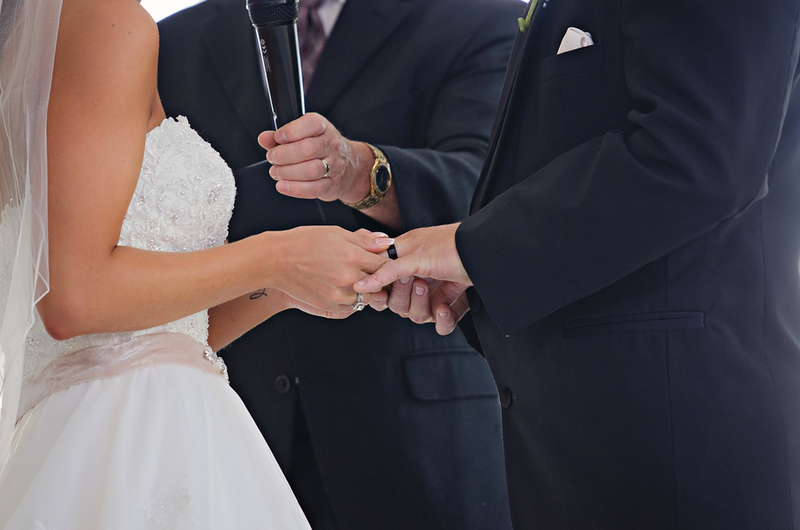 It’s easy for anyone to see that the groom’s breath was taken away by his bride. 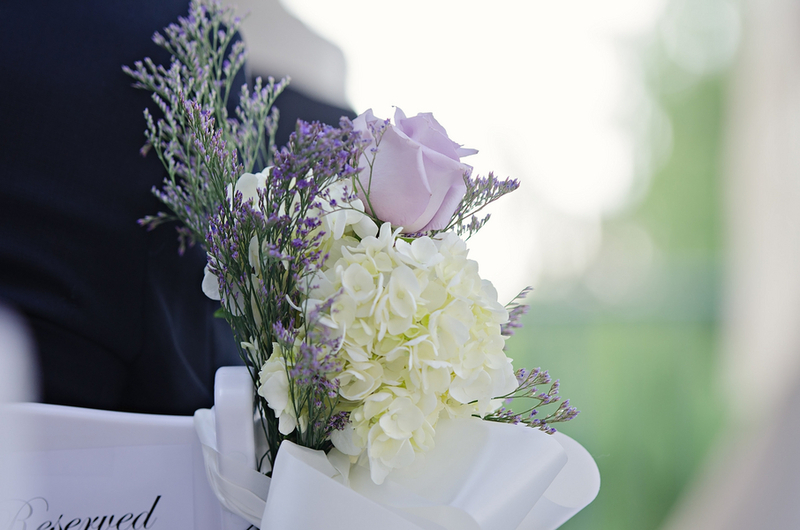 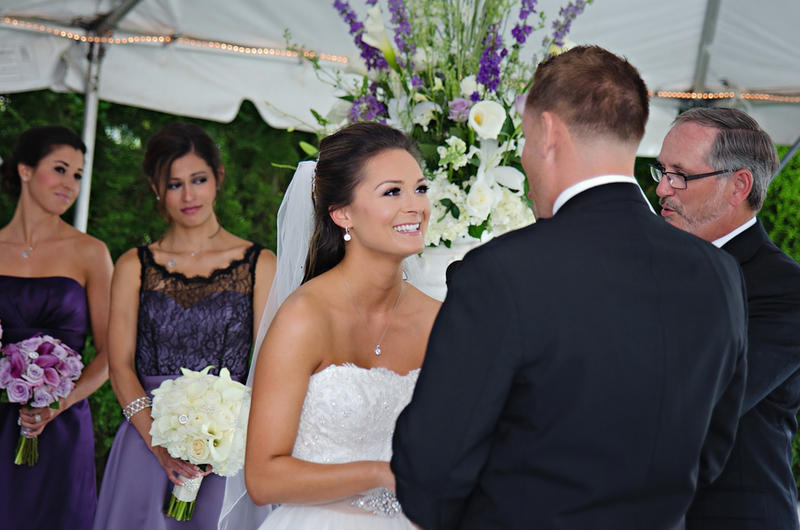 The couple’s exchange of vows took place between two gorgeous ivory and purple colored floral arrangements by the talented Ray’s Flower Shop. 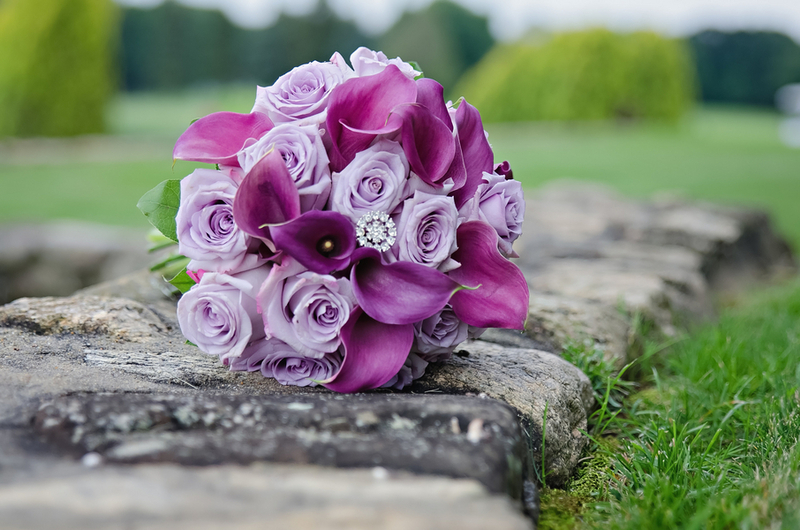 After the vows were finished, the newlyweds made their way back down the aisle to capture some seriously gorgeous photos with the family and wedding party on the beautiful grounds of Kirkbrae. 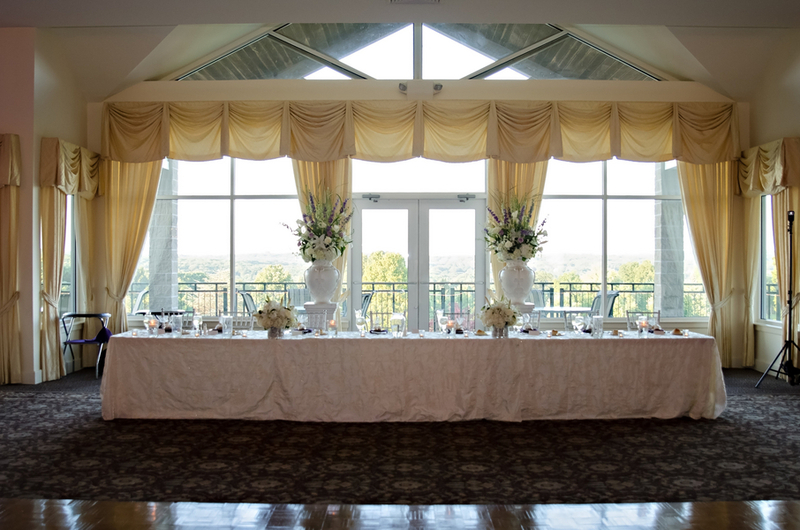 The couple’s celebration kicked off in style with stunning, elegant details through the gorgeous reception area. 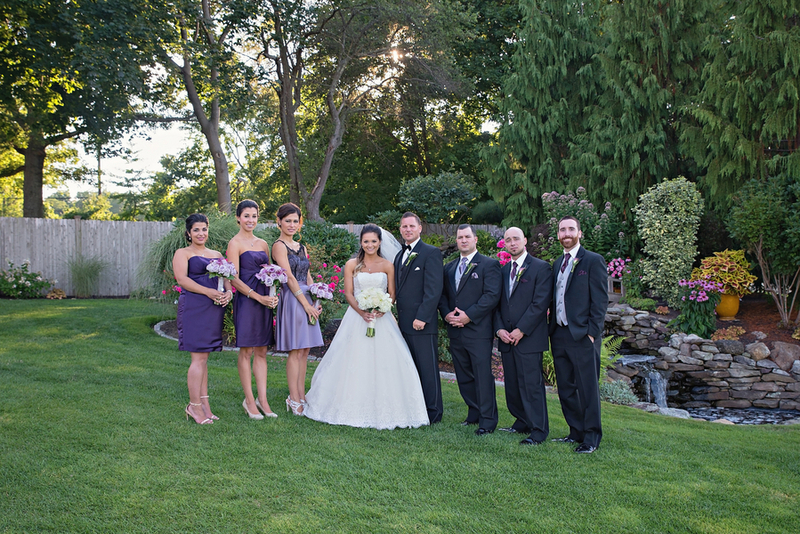 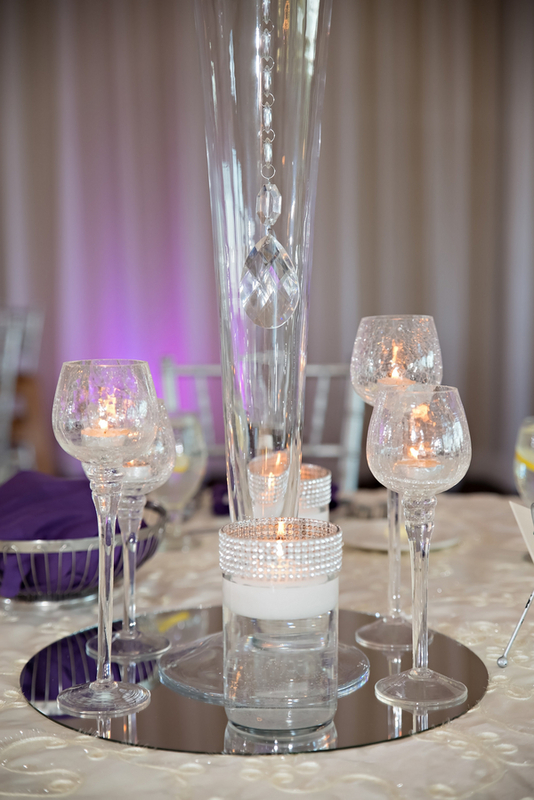 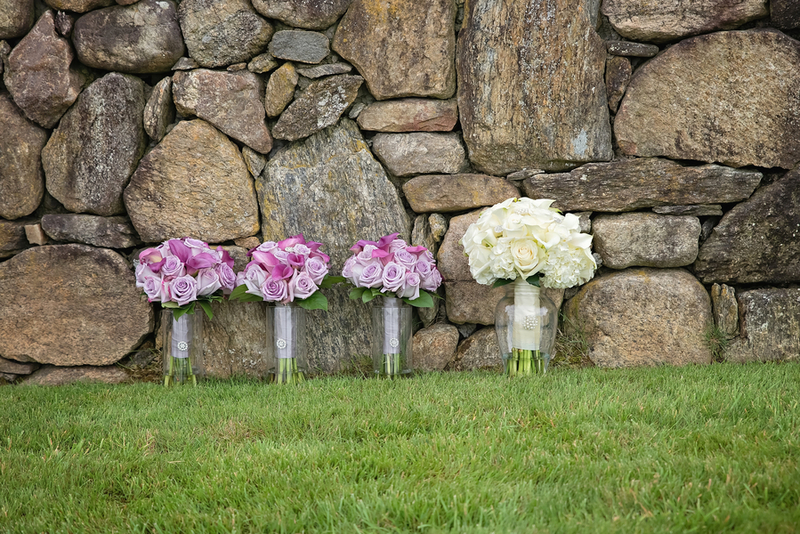 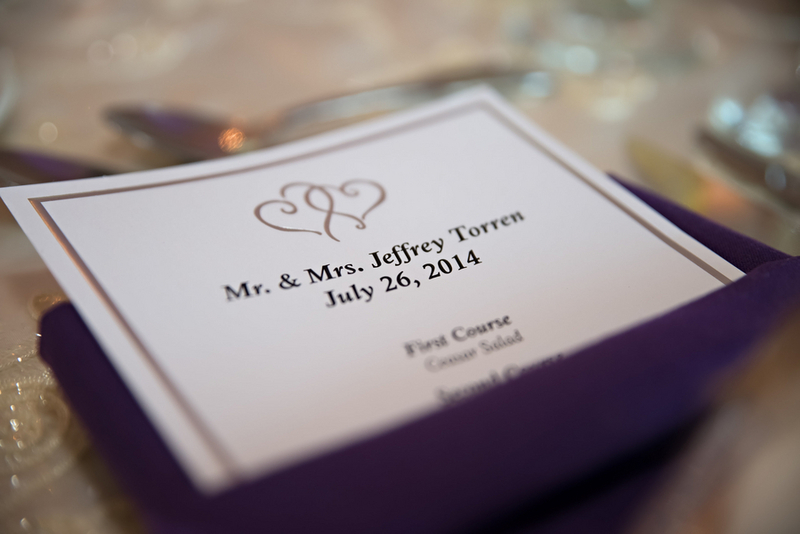 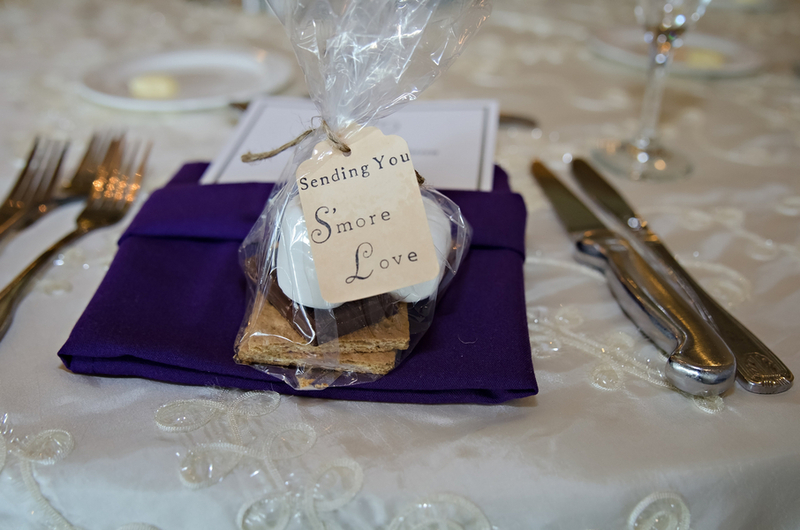 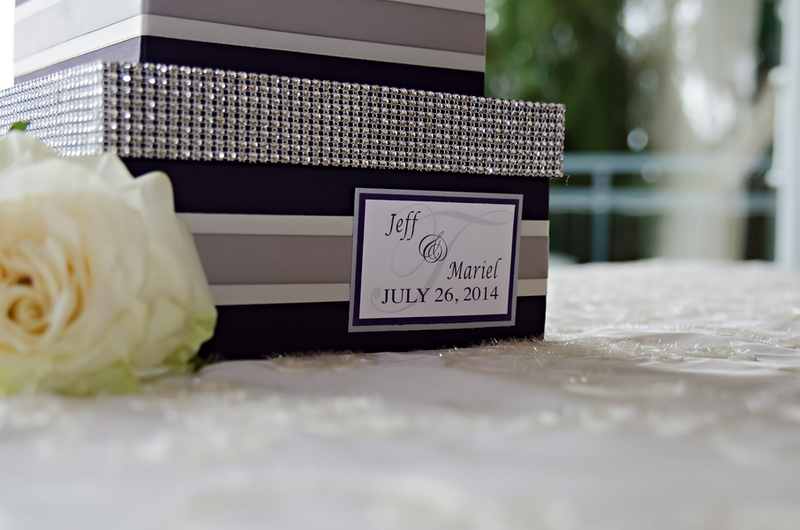 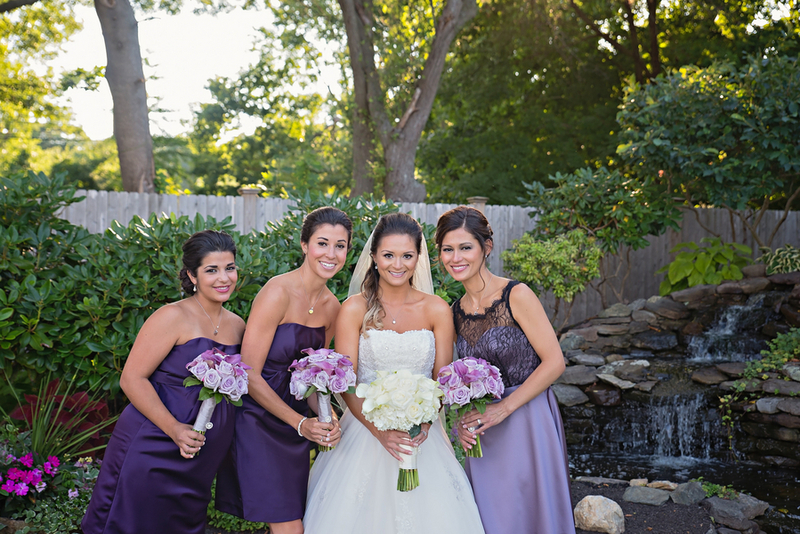 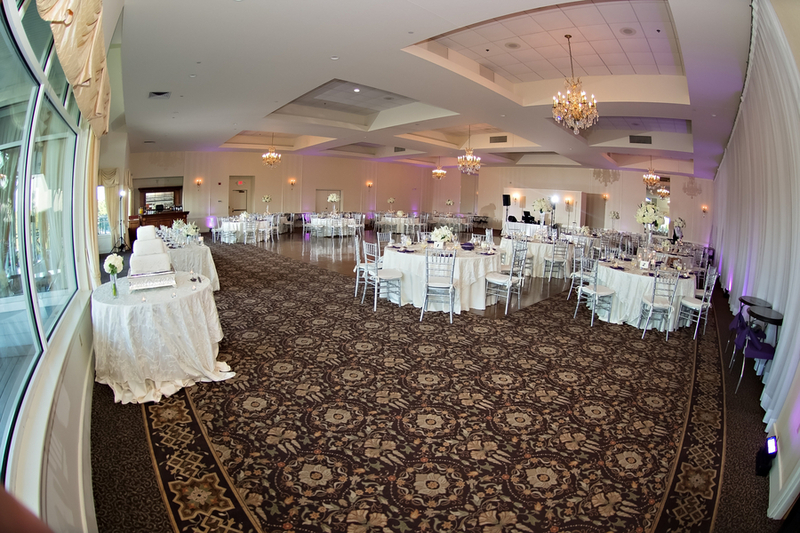 Mariel and Jeff brought the purple and ivory colors and weaved them beautifully into the decor. 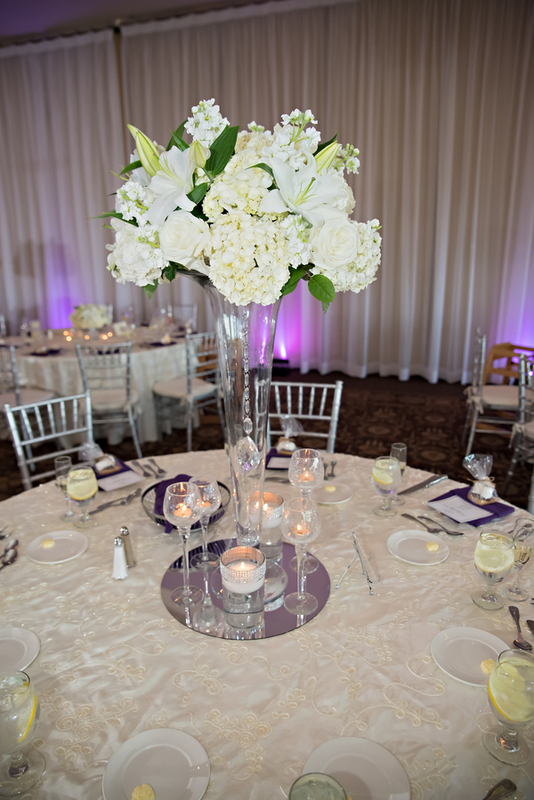 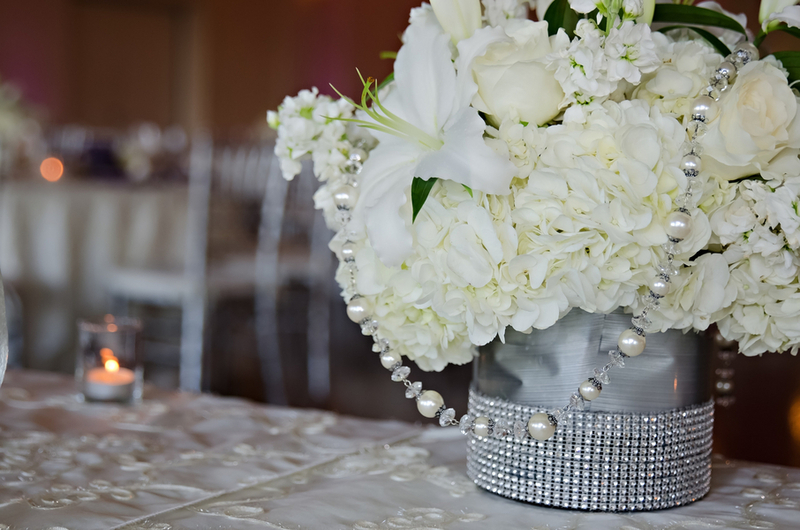 The ivory floral centerpieces were accented with strands of pearls, and the table linens were complimented by purple cloth napkins that truly made the entire wedding cohesive and stunning. 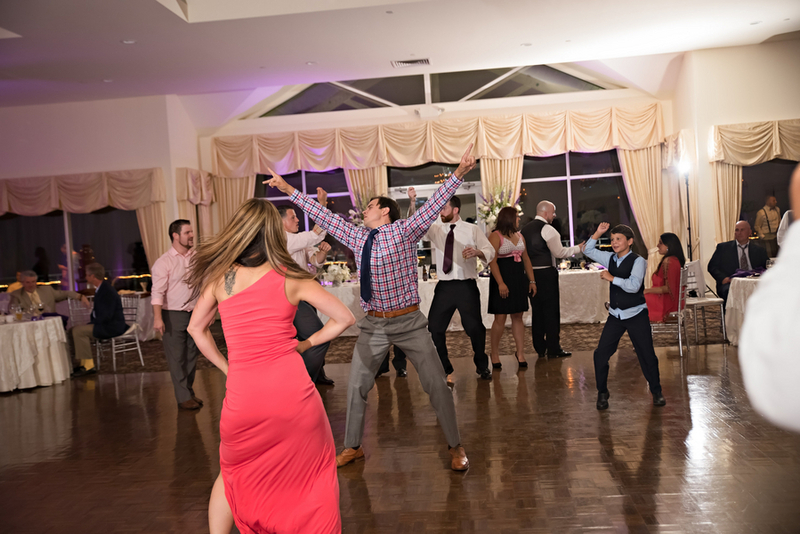 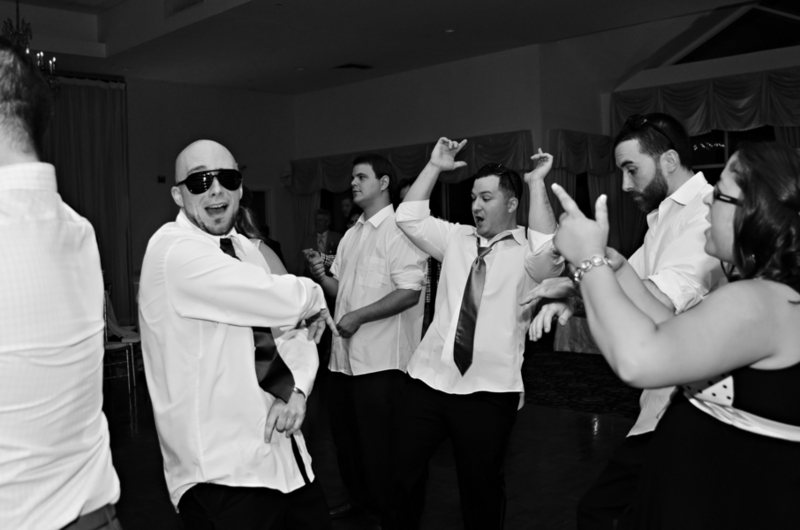 The guests and wedding party clearly enjoyed their celebratory evening as they danced the night away. 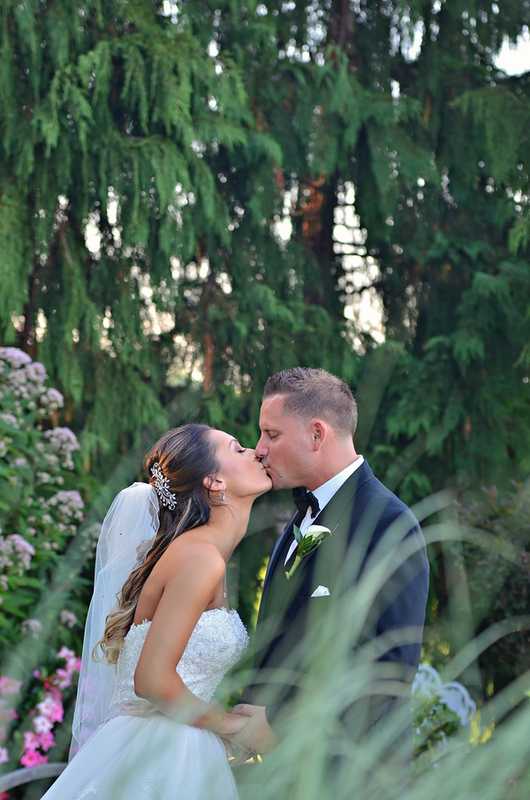 With such a gorgeous couple, stunning venue, and perfect elegance, this wedding is definitely one for the books!